You've heard of "The Beauty and the Beast?" A fairy tale? How about "The Beauty and the Beetles?" No fairy tale. That's the theme of the open house on Saturday, Nov. 23 from 1 to 4 p.m. at the Bohart Museum of Entomology, located in Room 1124 of the Academic Surge building on the UC Davis campus, Crocker Lane. The family friendly event, free and open to the public, should draw a good crowd. "Beetles," said Tabatha Yang, education and outreach coordinator at the Bohart," are incredibly diverse from the dung beetles to the shiny wood-boring beetles to the mighty rhinoceros beetles. They are also spectacularly beautiful. Besides specimens from around the world, we also be displaying (not selling!) 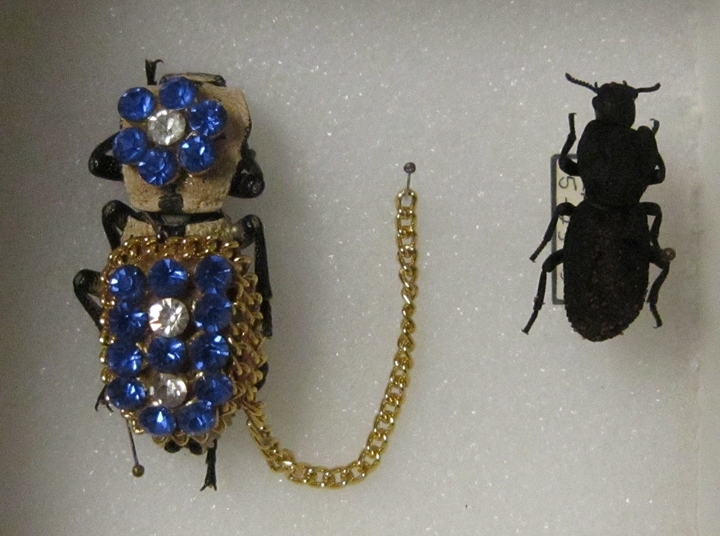 jewelry made from the wings of beetles- this was common practice in South America's indigenous populations." In addition to displays of beetles, "we will have a fun hands-on craft, something involving sequins and another craft involving 'dung balls,' " Yang said. The Bohart Museum, directed by Lynn Kimsey, professor of entomology at UC Davis and housing nearly eight million specimens, is the seventh largest insect collection in North America. It is also the home of the California Insect Survey, a storehouse of insect biodiversity. Noted entomologist Richard M. Bohart (1913-2007) founded the museum in 1946. Special attractions at the Bohart include a live "petting zoo," with critters such as Madagascar hissing cockroaches, walking sticks, tarantulas and praying mantids. Visitors can also shop at the year-around gift shop for t-shirts, jewelry, insect nets, posters and books, including the newly published children’s book, “The Story of the Dogface Butterfly,” written by UC Davis doctoral candidate Fran Keller and illustrated (watercolor and ink) by Laine Bauer, a 2012 graduate of UC Davis. 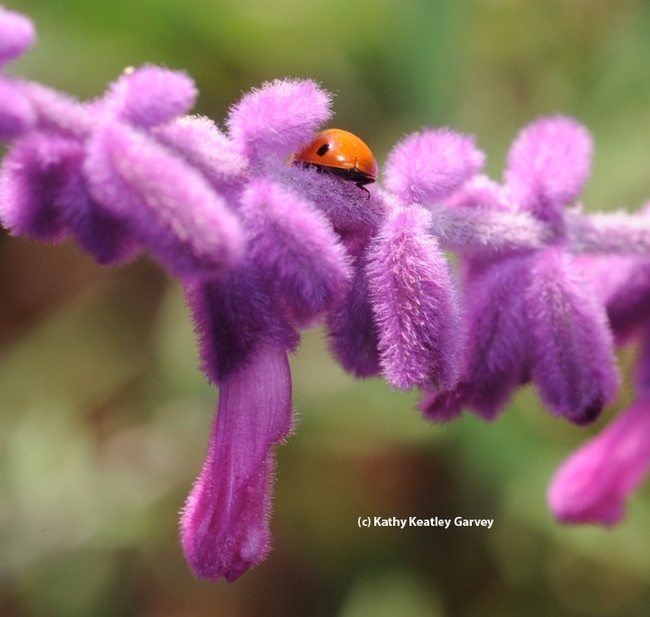 The 35-page book, geared toward kindergarteners through sixth graders, also includes photos by naturalist Greg Kareofelas of Davis, a volunteer at the Bohart. Bohart officials schedule weekend open houses throughout the academic year. Regular hours are from 9 a.m. to noon and from 1 to 5 p.m., Monday through Thursday. The insect museum is closed to the public on Fridays and on major holidays. Admission is free. More information is available from Tabatha Yang at tabyang@ucdavis.edu. This bedazzled beetle was worn as a living brooch and originated from Mexico.